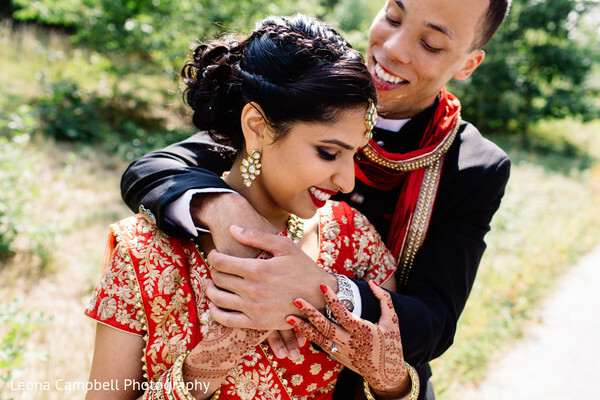 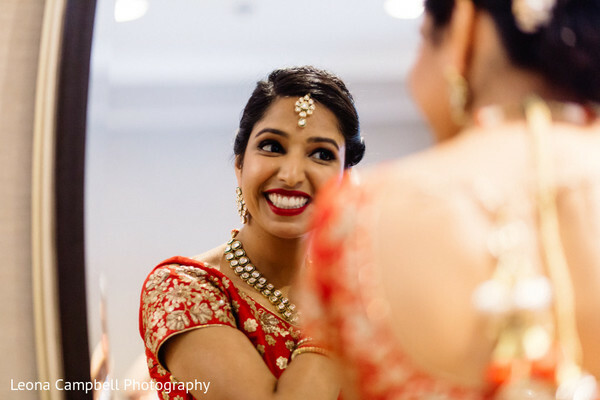 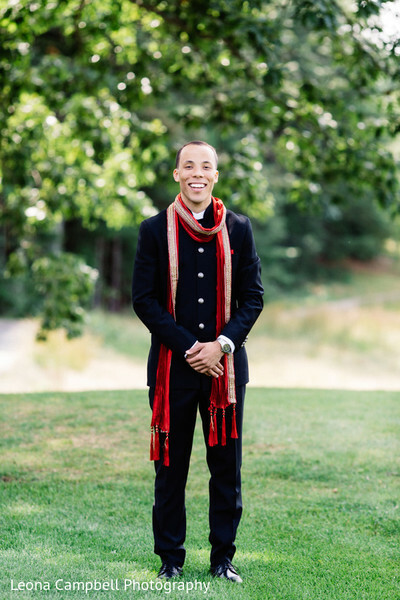 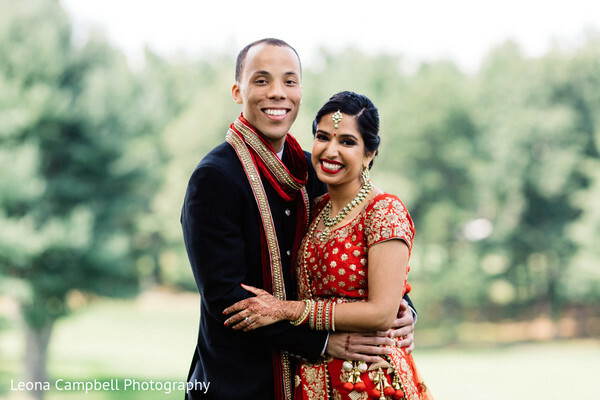 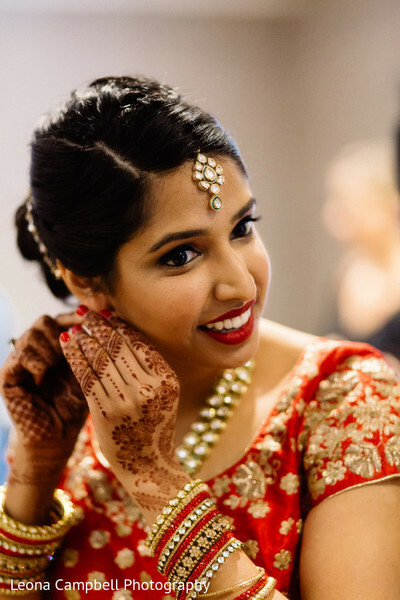 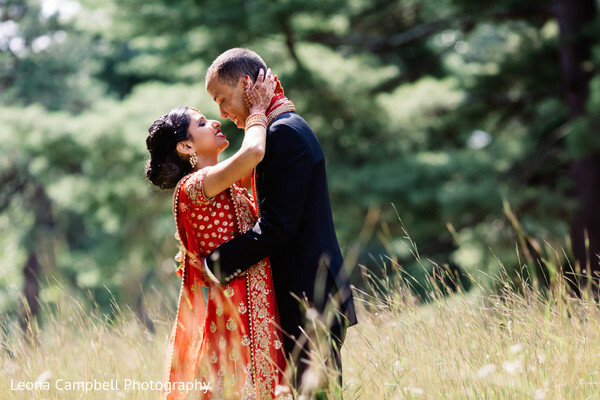 As temperatures start to drop, the unique fusion wedding adventure of Rashmi and Sam will make you feel all the warmth of the summer days through the wonderful images brought to us by Leona Campbell Photography! 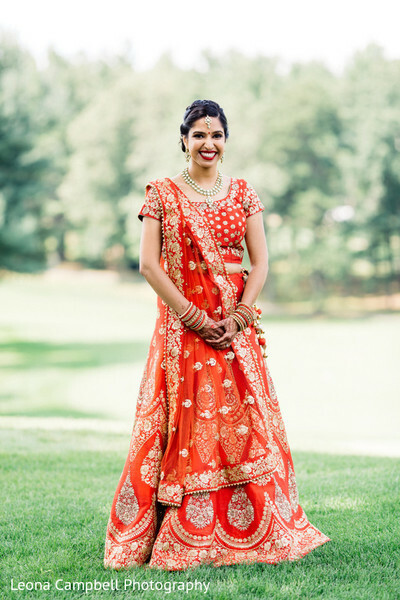 Our lovely Maharani Rashmi looked absolutely perfect in a beautiful red lengha with golden embroidery work, Flawless Creations finished her look with a sensational shade of red lipstick and rosy cheeks! 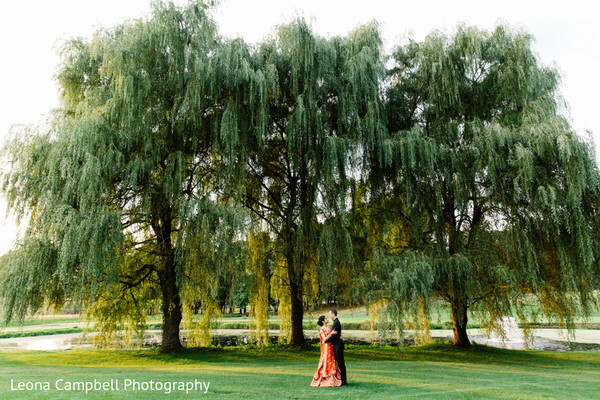 This bride was ready to meet the man of her dreams and the brilliant storyteller managed to capture the radiant soulmates before their "I do's" in a romantic first look shoot under the majestic willow trees of The International Golf Club and Resort! 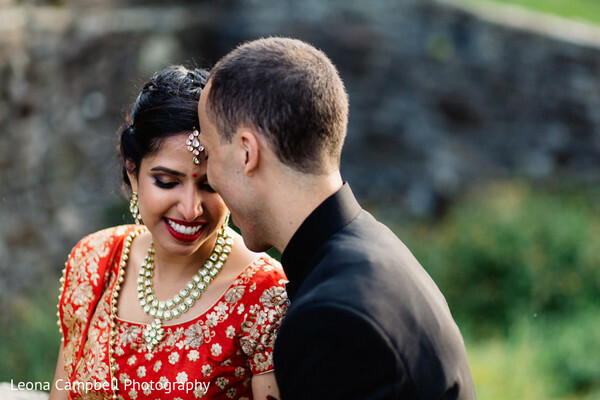 The breathtaking panorama located in Boston, MA allowed this duo to create a fantastic album showcasing their wedding journey and it's all here in our full gallery for you to peruse! 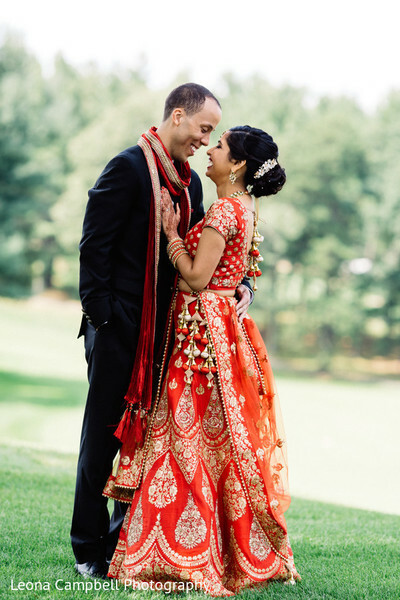 Stay tuned for a lovely fusion wedding ceremony!